The Tomatis® Method is a revolutionary sound training program that changes lives. It is an audio therapy program based on the 60-year old Tomatis Method that was developed by Alfred Tomatis, MD and is used by more than 1,500 practitioners around the world. Listening is the one foundational skill that impacts all of our other skills. It can be developed and improved at any stage of life. Tens of thousands of people annually around the world have used the Tomatis Method. Here are some needs and a sampling of those with whom we have worked. Learn how we help adults here. The Tomatis® Method is based on a new understanding of the ear, which draws a critical distinction between listening and hearing. Dr. Alfred Tomatis emphasized that listening is different from hearing. Hearing is the passive reception of sound, while listening is the active participation in what one hears. It is possible to have good hearing, but poor listening. Dr. Tomatis found that by improving your listening, you can improve your day-to-day functioning in many areas. The ear is the first organ to grow in utero. The original Tomatis® Method is based on the work of Alfred A. Tomatis, MD (1920 - 2001). Dr. Tomatis, an Ear, Nose and Throat physician, pioneered a multi-disciplinary science called Audio-Psycho-Phonology (APP) over 60 years ago. His work resulted from his curiosity about the vital influence of the human ear on a healthy mind, body, and spirit. Tomatis noted that the ear is the first organ to grow in utero and as a result, a fetus begins to hear sound and learn language from its mother’s voice. Tomatis concluded that overall human health sources from the health of one’s ear. Answers to most of these questions can be found throughout this website. Here are some short answers to frequently asked questions. Q: How long does the average program take? A: For most people, the process includes a minimum of 52-60 hours of listening in two sessions of 26-30 hours each. This is usually completed in less than 3 months. The sessions typically include passive listening where the client simply listens to the individualized program selected for his or her own ears. Additional listening may continue past three months, if appropriate. Q: Do I have to sit still during the two hours of daily listening? A: No. Children may play and adults may work, if desired, although reading is not recommended. Listeners may draw, work puzzles, sleep, or even complete homework assignments that do not require extensive reading or screen time. Join us on Facebook to learn more about the exciting things happening at BSI. We have been serving the Las Vegas valley since 2010. 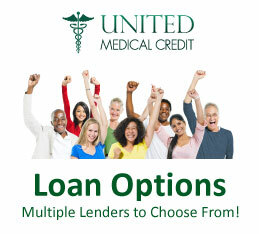 Happily, we announce that we now offer financing options through United Medical Credit. We know this will allow us to help even more families in the years to come. Contact us today to learn more. We accept funding from DRC.